Ian MacDonald, Lynsey Archer, John Kane, Chris Duppa-Miller and John Carder. Much appreciated! 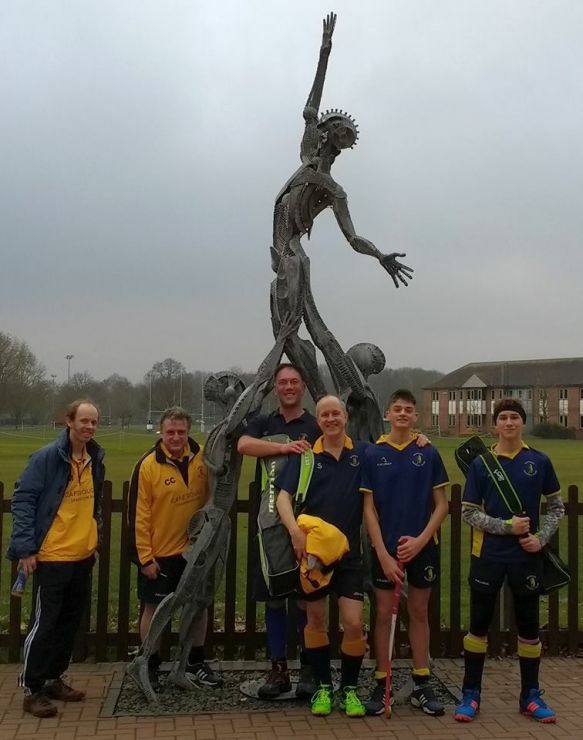 Balf's writes "Mens' 2s on form with an 8-2 victory away against Telford, with 2 goals a piece for Tom Selby, Tom Booker and Andrew Dellow". Langers reports "3-3 Probably a fair result but could have been much better if we cut out some lost possession in key areas. Goals from David Harris and 2 for John Kane. POTM Matt Walmsley, good debut by Adam Mander"
Nick is pleased "4s get a well earned 4-2 win away at Sutton Coldfield with debutante Adam Shepherd winning Man of the Match, goals coming from John Sawdon (2), Rob Bligh and Freddie Quelch". Claudio chips in with "Warwick 5ths edge closer to safety with a 2-2 draw vs Coalville 5ths .After dominating the early stages and capt Ian Macdonald scoring from a short Corner, Warwick conceded a sloppy goal just before half time. In the Second half Steve Lycett regained the lead for Warwick but Coalville hit back immediately . This week Warwick were happy to come away with a point". Also check out photo of the week below! 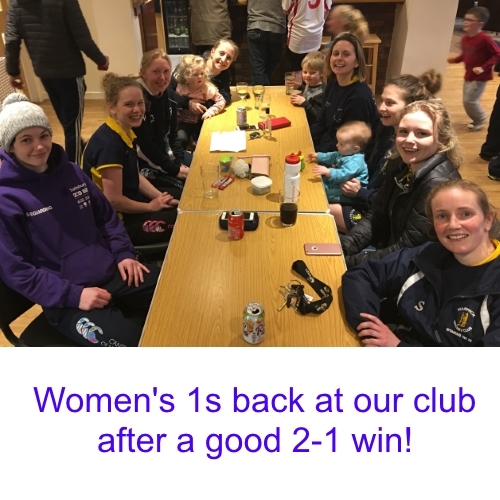 Becky writes "With a change in formation the ladies 1s were back to winning ways this week with a 2-1 victory over Belper. A fantastic team performance and one we hope to carry forward for the rest of the season". Great to see so many of the ladies back at the club house. However, fining Kirstin for speaking to our roving news reporter and photographer was harsh!!! Dave Bryce writes "Thanks for Ian best for organising mixed today. We were a very close second best! I blame jk, if he had scored at 5-0 the comeback was on!!"